If elegance is your style, then this sleeveless tank top from Tuna London is a perfect pick for you. Made from high quality fabric, it will provide you with immense comfort throughout the day. Featuring a round neck and printed pattern, this tank top possesses a fashionable allure. 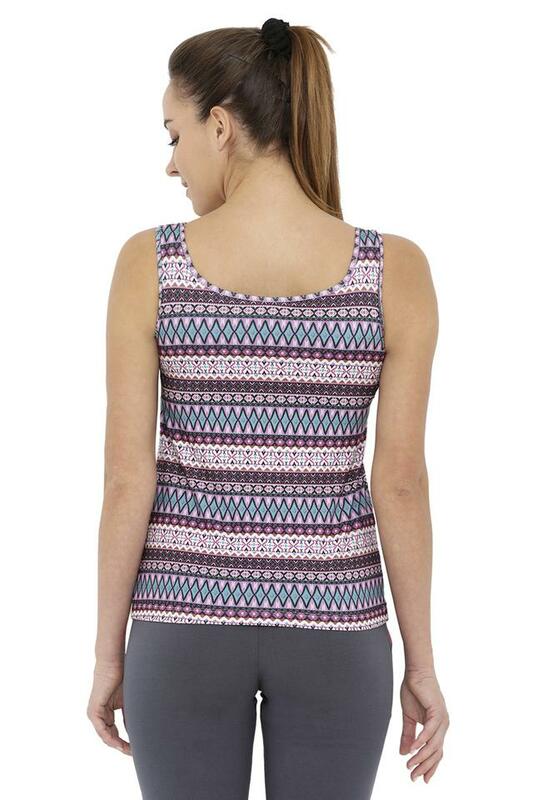 Add a feminine print to your occasion wardrobe with this tank top. Make your sport outings stylish by teaming this tank top with a pair of shorts and sports shoes.